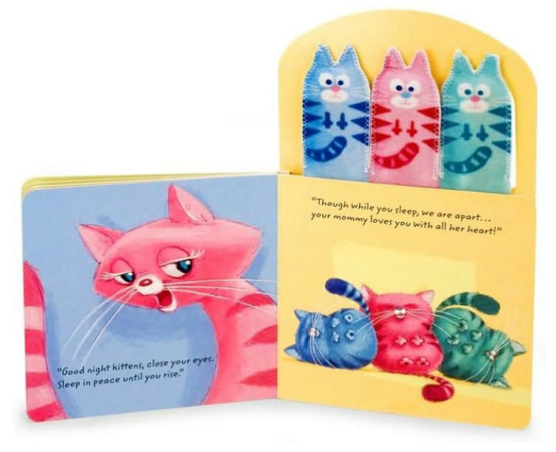 Despicable Me Sleepy Kittens Board Book $6.00 Shipped! Right now, you can grab the Sleepy Kittens board book for $6.00 shipped with Amazon Prime. 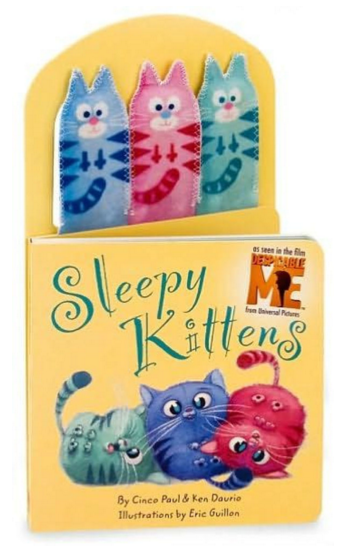 About Sleepy Kittens: An adorable board book with finger puppets based on a book featured in the animated movie, Despicable Me, coming from Universal Studios in Summer 2010. With gentle, rhythmic verse, little ones will love to snuggle up with these soft, cozy kitties at bedtime. The trick is perfecting your very best Gru voice when reading this book… my kids get the biggest kick out of that. Also, this book does NOT come with the little hair brush that he uses in the movie, but thanks to Barbie, we just borrowed one of hers. This truly is a sweet book and a must for any Despicable Me fans!